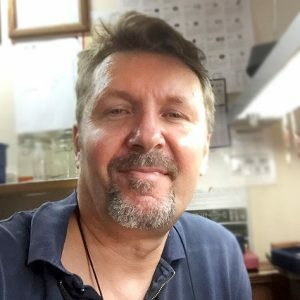 Following 20 years experience in jewellery manufacturing, Jack Pilatowicz (Master Jeweller) established his business in Brisbane, Australia in 2007. Jack can restore, repair or create using the latest software and technology to custom design and create unique pieces of jewellery to suit your desires and style. Jack assures the highest quality work and products to suit your budget; big or small. Jack provides personal service to suit. Book a consultation today and receive professional advice on all things jewellery. A broken earring, a mission diamond, a ring that no longer fits. Jack can repair your jewellery and ensure it maintains its value. Heirlooms of priceless sentimental value can be restored to their former glory using state-of-the-art technology, coupled with extreme care. Jack understands that life is busy and getting to a jeweller in order to design a custom piece can be time consuming. That's why Jack can come to you, anywhere in Brisbane and discuss your piece. Think of Jack as your personal Master Jeweller. European designs at affordable prices. Jack has years' of experience in custom designing jewellery. As a Master Jeweller, Jack can bring your ideas to life, at affordable prices. "... My partner and I came to Jack with an array of ideas and a few family diamonds. Jack was truly amazing in turning our... "
"... Working with Jack is a pleasure, and he produces truly beautiful pieces. I found it very easy to communicate my ideas to him, and... "
"... Dear Jack, Going through the process of getting engaged is an enjoyably nerve racking experience and you exhibited much patience on the many occasions... "